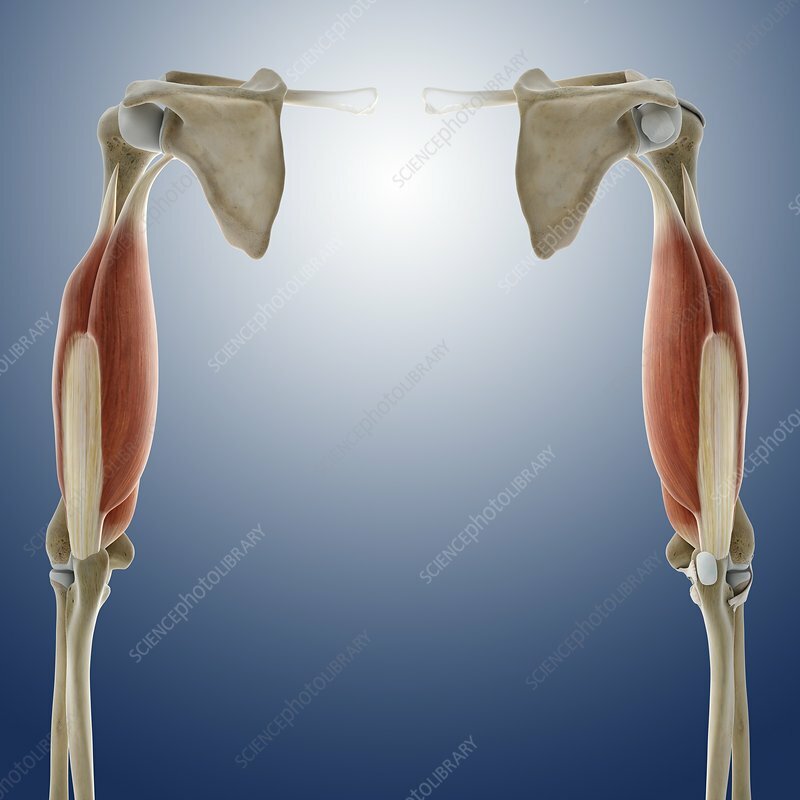 Triceps muscles, computer artwork. The triceps brachii (pink) extend the elbow joint, straightening the arm. At top right and left are the scapula bones (shoulder blades).